Study the skeletal anatomy of various classes of vertebrates. Students will further their understanding of skeletal structure through comparative analysis of the animals included in this x-ray set. 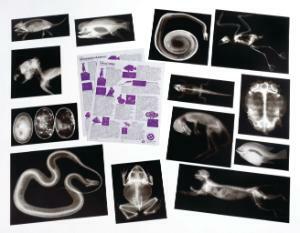 Printed on durable plastic and designed for use on a light table, overhead projector, or simply held up to a window, each real animal x-ray offers a visual aid to animal anatomical studies. 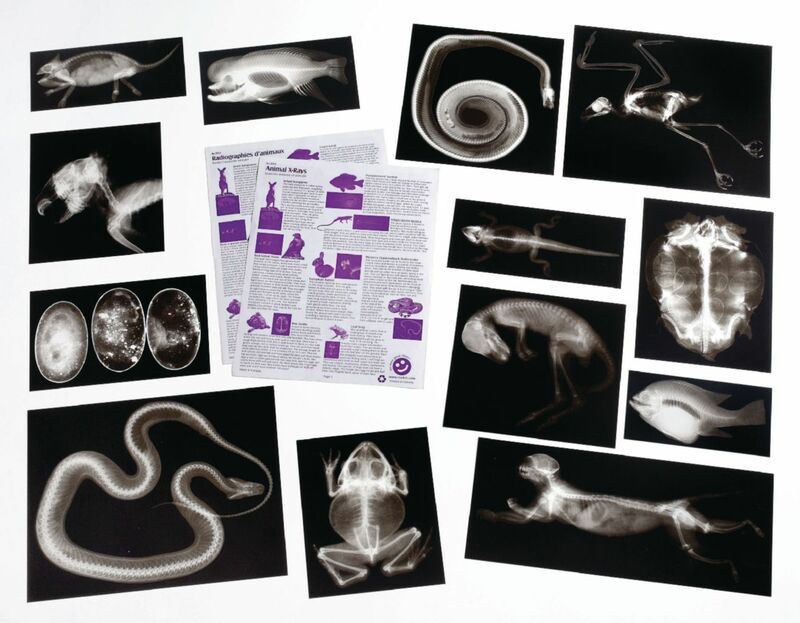 The 13 x-rays include fish (cichlid and sunfish); amphibians (frog); reptiles (chameleon, crocodile eggs, iguana, python, rattlesnake, and turtle); birds (hawk); and mammals (kangaroo, marmoset, and rabbit). Also includes information sheet on each animal, printed in English and French. Range of sizes: 7" x 3 1/2" to 10 3/4" x 8 1/2".